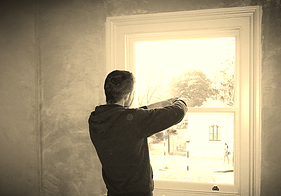 The Sash Window Restoration & Repair Service that px;cares about YOU and your Windows! Sash Window Restoration is a process that involves renovation and refurbishment combined with draught proofing and the complete overhaul of your box sash windows. The restoration also involves repairing all mechanical faults and repairing all rot and decay using highly specialized restorative joinery techniques. During the restoration process all paint is either sanded or removed from both the box frames and the sliding sash windows and then after all repairs are completed the sash windows and boxes are completely redecorated to the highest standard possible. The end result being, Beautiful original box sash windows as good as the day they were first installed! People now recognise the fact that period sash windows are of very important architectural and historical significance, because of this many will try to restore their sash windows as opposed to replace them. Sash window restoration in London has become a huge industry over the last decade and there are an increasing amount of sash window repair companies in London. 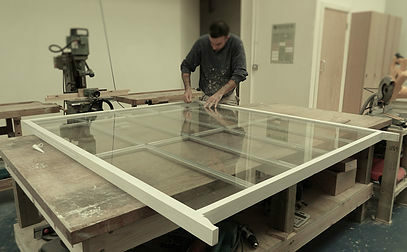 If you are considering sash window restoration give us a call today. We give you an honest opinion on whether sash window restoration is achievable and if not give you other options that are in your best interest. 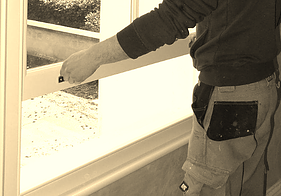 Mortice & Green provide sash window restoration throughout London so call us today for more info. 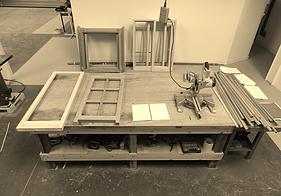 Many people use the term “sash window renovation” to encompass a huge array of sash window repair works. Our definition of sash window renovation is pretty much everything one would expect to get with sash window restoration other than we do not carry out full interior and exterior redecoration of your sash windows. Apart from this with our standard renovation service you should get a fully functional sash window that is fully draught proofed and in good mechanical working order. New beading, new sash cords and new replacement catches and locks. 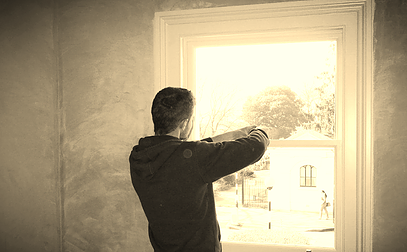 Sash window restoration is the next step up from sash window renovation and brings with it a significant increase in cost and man power due to the nature of restoration, it is very labour intensive. One of the most challenging aspects of owning a home is choosing which materials you will use for important property upgrades. This is especially true when it comes to windows. There are seemingly countless options to choose from. For discerning people, however, wooden windows are always the best investment. These provide the greatest amount of energy efficiency. They are also much more environmentally-friendly than a number of the latest and most innovative designs. More importantly, they are guaranteed to provide the greatest quality and value overall. Following are several reasons why. Many people are not aware of the fact that these structures can actually last indefinitely if they are properly installed, sealed and maintained. If your value you your property and take care of it, these features are guaranteed to last. As such, it is not uncommon for window manufacturers to offers fifty year warranties on their all-wood windows. This means that if anything should go awry over the course of five decades, the related replacements and repairs will be covered. There is simply no beating the value of offers like these. Another thing that you may not know is that these styles are very easy on the environment, especially when it comes to production methods. They are often made in quaint workshops which means that there are few chemicals involved and few greenhouse emissions. This is hardly the case with PVC window styles which require eight times the amount of energy and are also responsible for a considerable amount of greenhouse gas emissions. You might think that PVC is the best environmental choice compared to wooden sash windows simply because it does not contribute to deforestation. This, however, is far from the truth. PVC is very damaging to the natural environment and it is also unlikely to degrade on a human time scale. This results in a considerable amount of virtually non-biodegradable waste being added to local landfills. This is all the more true when you account for the fact that styles like these are unlikely to last for the five decades that wooden options will. Another valuable point to consider is the fact that wood options can be painted or stained in a vast range of colors and hues. This is actually a major selling point for both aluminum and vinyl. When it comes to wood, however, you are only limited by your own imagination. There are no limits on how you can style these products and there are also many different types to choose from. Among some of the most popular options are sash windows. There are sash windows that were installed in the 17th century that are still present today. With the right preservation efforts, these products can definitely prove their durability. Products like these can also set your home apart from others within your area. They look quite different from windows that are made from vinyl and aluminum. This is a selling point that can be incredibly important if most properties within your neighborhood happen to look quite similar. It can greatly increase the marketability of your abode, thereby making it much easier for you to attract qualified buyers. During the winter months, these structures will trap more warm air in the house. In summer, they will keep the cool air indoors. This will in turn, limit the amount of work that your home heating and cooling system must do, along with the amount of energy it requires. As such, you can look forward to lower energy costs overall. Contraction is also minimized by wood designs, which limits wear and tear and minimizes the likelihood of a number of common window problems. This is actually one of the many reasons why these structures are capable of lasting so long. ​It is also important to note that while these windows cost a bit more than some of their more modern counterparts, they will virtually pay for themselves over time. This is true in terms of energy savings and it is also reflected in the fact that your investment will be warranted for a very long time. You won’t have to pay for replacements or countless repairs. Instead, you can simply trust that these structures have been built to last and that they’ll maintain their attractive aesthetics for a very long time to come.